There are many social media options for reaching potential readers of your books — Facebook, Goodreads, your Amazon Author Page, blogs, Twitter, etc. But one of the most effective ways is the classic email or newsletter list. Ideally, this list is composed of people who voluntarily signed up to receive periodic emails from you. It is an opt-in system that connects directly with your audience via their inbox. There’s no feed for your message to get lost in, which puts it a step ahead of most other social media. Of course, with so much spam out there, you want to make sure that mail servers don’t blacklist your emails. Getting blacklisted can happen more easily than you might think. Mail servers use complex algorithms to sort legitimate email from spam. Most of the time they get it right, but how many times have you found an important email in your spam folder? I once had a request for a full manuscript from an agent in mine. Yikes! To prevent mail servers from miscategorizing your email newsletters as spam, I recommend a free tool called MailChimp. I’ve used it for years, and it is very versatile. It offers many of the same functions as expensive apps like Infusionsoft or Aweber, but without the cost. Once you’ve set up your free account, there are two basic things to do. The first is to set up a list. A list is a table of email addresses and other information from subscribers interested in receiving your content. You can decide which fields (pieces of information) you want subscribers to provide, such as their first name, last name, address, favorite flavor of ice cream, etc. You can also set each field to be either optional or required. The more information you require, the more you can send specific information to select segments in your list (like all of your subscribers in Metro Phoenix if you’re doing a local book signing). However, the more fields you require, the more resistance you may get from people c0nsidering signing up – so think carefully about what information you really need. Once you have a list of subscribers (even just yourself if you’re getting started), you can create a campaign. A campaign is your overall newsletter service. 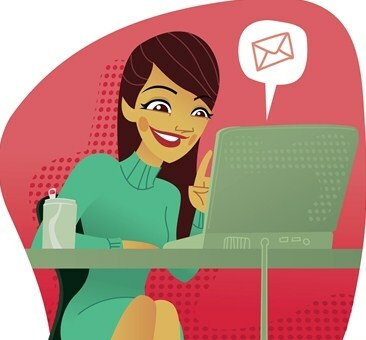 You start by coming up with a name of the campaign (like My Famous Newsletter, for example), contact information, a visual design (from the many templates available), and choosing which fields from the list (like addressing the subscriber by his/her first name) or other variables to include in your newsletter template. There are regular newsletter campaigns, where you regularly send emails to your subscribers. If you have a blog, you can also create RSS-driven campaigns, which connect to the RSS feed for your blog. When you publish a post on your blog, it gets sent out to your subscribers automatically. You can even set it up so that the email includes only a teaser for the blog post, forcing subscribers to click on a link in the email to see the full post on your website. This gives subscribers a reason to visit your site where you can promote your published works. Or you can include an ad for your work in the middle or at the end of the post and include the whole thing in the email. The choice is up to you. A good way to get people to sign up for your blog is to offer them an incentive, such as a free download. MailChimp makes this easy to automate. When someone subscribes to your list, they must do what’s called double opt-in. With double opt-in, subscribers fill out the signup form, which goes to MailChimp. MailChimp then sends an email to the subscriber with a confirmation link. The subscriber must click on the link before they are added to the list. Once confirmed, subscribers are sent a “welcome” email informing them they’ve been added to the list. You can customize this welcome mail to include a download, like a short story or helpful tips. There is a lot to learn about the various ways MailChimp can help you stay connected to your readers. Visit mailchimp.com to learn more. 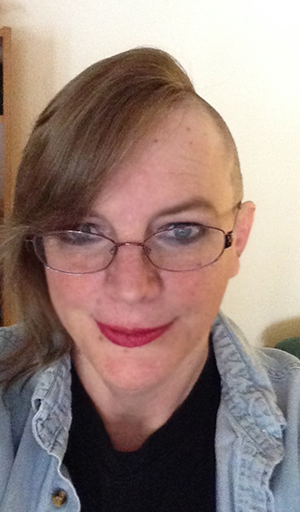 Dharma Kelleher writes gritty, engaging fiction about gay, trans* and queer-identified characters. She works as a professional web developer for ZenPunk Web Works. Her hobbies include riding motorcycles, making snarky comments on Facebook, and shocking people with her latest haircut. Learn more about her and her writing at dharmakelleher.com. This entry was posted in Dharma Kelleher and tagged book marketing, email marketing, MailChimp, mailing list, Phoenix Publishing & Book Promotion. Bookmark the permalink. Excellent, Dharma! I will be using this as soon as my new website goes active!